To February is a company that specialized in Asian fashions. They sell a bit of clothing and tons of different jewelry options. Their items are very affordable (about $7-11 or so) and come in the latest fashions. Here is a little bit of information about the company: ToFebruary.com is an online store specializing in bringing you Asia's uniquely cute and colorful fashion, jewelries, and accessories. All items sold here come from Korea, Japan, Hong Kong, Taiwan, or China and many selling products are featured in Asian Inspired Fashion magazines such as Japan's hit fashion magazine, ViVi. Here at ToFebruary, we value each and every one of our customers and strive to make every transaction a fast, successful, and most of all, happy one! I love this cross and key necklace! I could wear it somewhere more formal like church or out to dinner. 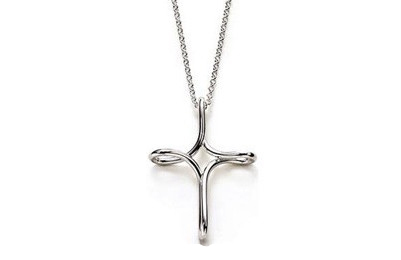 This necklace on the To February site says that it is a T. I think that it looks more like a cross but a T works too because my husband's name is Troy. 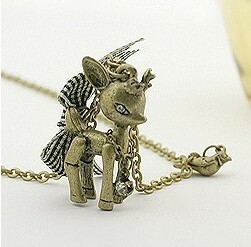 My dad is a hunter and just got his third deer of the season so I'm loving this vintage deer necklace! I am a big fan of all 4 of the necklaces that I was sent. They would all make great Christmas gifts too. Anything from this company would be great for someone who is interested in fashion. I would recommend it for ages 12-40 or so. Also, since the items are so affordable, you can buy a few things for the special person in your life receiving these items. The giveaway will be for any accessory item or jewelry item from To February of the winners choice. Ooh! I didn't know they had clothes! I love the City Hunter Blue Skull Top--just my style. 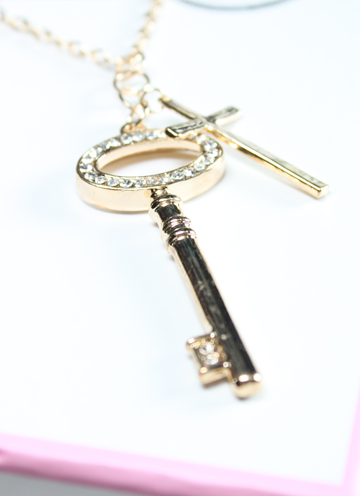 ah I LOVE the cross and key necklace! This site is super cute. Lots of cute things! I like the Chiffon Floral Dress. 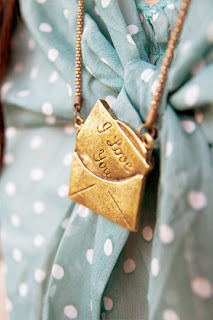 i am in love with that envelope and letter necklace! I see they have more than adorable jewelry. I really like the Butterfly Dress! I love the 3d stick-on nails, so cute! And I love their selection of earrings. I like the ToGetHer Casaba Prince Necklace. I love the 2 Hearts Earrings! 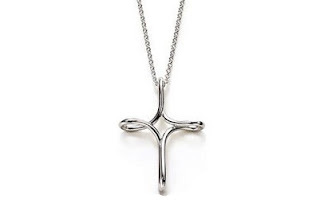 I LOVE the cross and key necklace. I love the 3 hearts necklace.